A man from London was told he narrowly escaped death after being bitten by a tropical spider on a flight. 40-year-old Johnathon Hogg was six hours into a flight from Doha to Cape Town when he felt a pain in his leg and saw a spider scuttling away across the cabin floor. He told the Press Association: “I was struggling to get comfortable during the journey and crossed my legs to get into a better position when I felt a small, sharp pain radiating in my left leg. However, the pain slowly grew and by the time he got to hospital his leg was black and “bursting open” with pus. 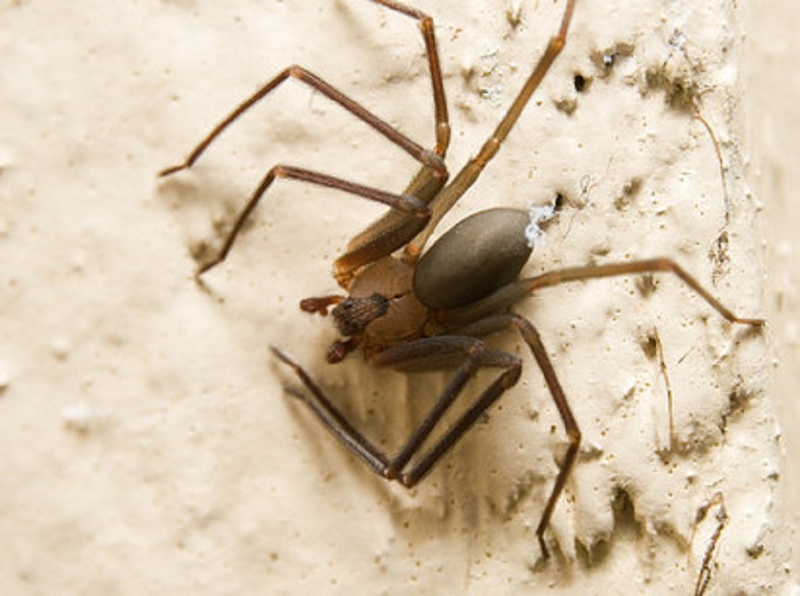 Doctors said it was a bite from a brown recluse spider, an animal whose bite can potentially be fatal. Hogg spent a month in hospital in South Africa, where he underwent three operations and a skin graft. Doctors cut away a portion of his shin and successfully saved his leg, but Hogg fears he may never play football or take part in kickboxing again. He plans to sue the airline, Qatar Airways, over the incident, because they have yet to assume responsibility.